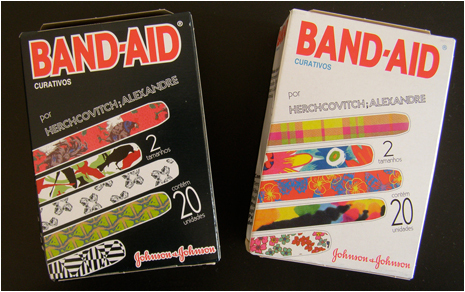 After band-aids, I wonder what could be next for designer Alexandre Herchcovitch. Wine? Toilet paper? FYI, the band-aids above were given away at the designer's men's show yesterday. Don't laugh. Those are and will be very collectible. Cute idea, though. But, must one acquire a "designer cut" in order to put a designer band-aid on it?